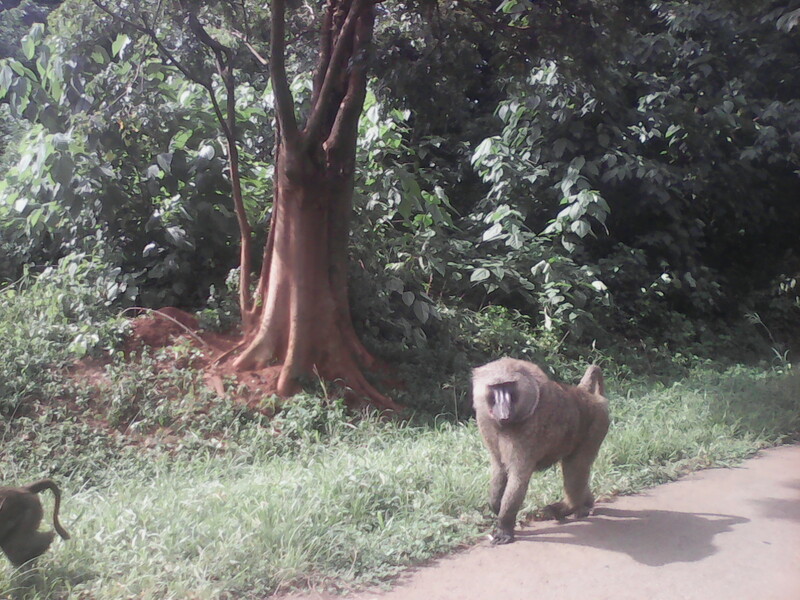 These baboons along the road are known to approach people in their cars stealing their fruits, vegetables, food and even money pockets. Do not feed them when driving through forests of Uganda. You are making their habbits become worse.